In recent blogs I have been banging on about change management, as I recently took a project management course in order to polish up my skills and knowledge and that. I was struck, as I was when I did my first PM course (many years ago) that there is a lot on tools, techniques and skills around planning, organisation, managing issues and risks and all that, the people side of things seemed a bit glossed over. Well, there was plenty about managing key stakeholders – even admitting that if two stakeholders have conflicting requirements then things can get tricky. There was also, to be fair, stuff about estimating resource and a whole chapter in the handbook about Project Human Resource Management. My interest was piqued at this, and I read on, and there was plenty of stuff about recruiting and managing your project team, none of which was objectionable in any way. I especially enjoyed the lengthy section on the kinds of organisational charts you could use, and the two sentences indicating that Organizational Theory (forgive the Z) could come in handy. There was a section on team-building and the importance of reward (and another learning unit on not taking bribes) and, again, nothing actually wrong with it. There was a sentence saying that leadership was “an important skill”, and that decision makign should be effective. The next chapter was on communication, with much on managing stakeholder expectations and reporting progress, issues and risks in a timely fashion. Again, all good stuff and rightly good practice for any project management professional. What was missing, however, was a sense that when the changes are implemented into the organisation then people are going to be impacted by that change, and for any change to be effective, the people impacted need to be ready, willing and able to make that change actually happen in the real world. I have worked with change managers for many, many years and they are, like most groups, a pleasingly diverse lot, with a range of personalities and approaches to their given field. Most of them were very good with their Gantt charts, flow diagrams and structure charts, their issue logs and risk management matrices. Very few of them were good with the concept of change happening through people. Why this is has occupied my thoughts often, and I found myself musing on it again as I printed off my Certificate of Mastery and before logging onto my Six Sigma course (expect a very similar blog about process improvement in the coming weeks, people). My thoughts are this: charts, diagrams, logs and matrices are easy. They sit there, they are logical and ordered, they do what they are meant to do, they have clear terms of reference and clear roles within the project, they are fit for purpose. Process, too, is easy. You know what’s what, it happens in order and processes can be managed. People, on the other hand, are rarely any of these things. They are difficult, they are illogical, they have emotions and they are fickle and unpredictable. A project plan moves neatly as a task is completed and a green on target square on the plan changes to a nice, neat black completed one. People can, and usually do, resist change. They have their own agendas, they want things to happen to make their life easier and if your project plan isn’t going to deliver that, then it’s not likely to deliver what you want it to, either. What Project Management courses don’t teach you, in my experience, is this wider, all-encompassing sense of the term “stakeholder management”. Stakeholders are usually seen as the important people you need to get onside in order for things to happen, or at least know how to outflank the other important people who don’t want it to happen. Stakeholders should include the less important people; the people on the shop floor who have to make whatever change you are managing into an experience in their daily lives – and even an experience for their customers. I think I have mentioned before a piece of systems change I heard about which won awards for the success of its implementation at a posh black-tie IT bunfight, but resulted in poorer customer service and lower employee engagement. When that’s award winning performance, you have to question the criteria for which those awards were awarded, do you not? Thinking about the impact on people of change is a simple thing to do, it just requires an understanding of where the people are at currently, what the likely impact of the changes are going to be be, and how they will react. Local leadership should be able to fill in those blanks pretty easily, shouldn’t they? (If the answer to that is “no”, then you have bigger issues than the colour-coding on your issue logs to worry about, believe me). 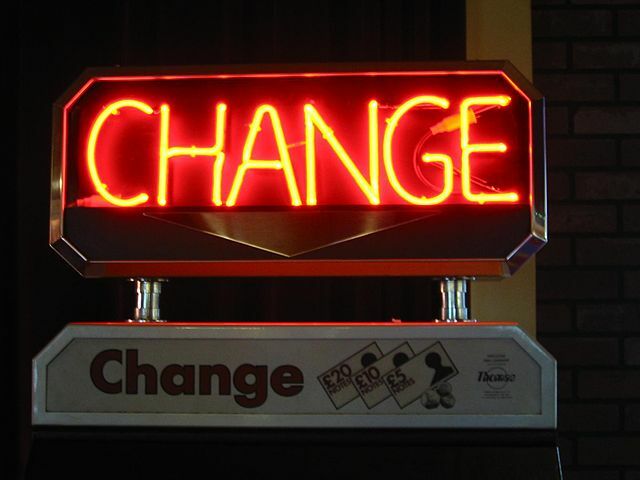 So, have a think: how does change happen in your organisation? Is it by the book? And does that deliver what you need? Could engaging with the people you are expecting to make this change happen more meaningfully at the outset help things go more smoothly? (Hint, yes it almost certainly could). Do your project people think about the process or what the outcome needs to be? And do they realise that for any outcomes to be delivered requires the people implementing it, not the most immaculate project plan ever drafted? Have a think.